The Bad: The allowable claim goes on to say that: “To achieve this possible benefit, olive oil is to replace a similar amount of saturated fat and not increase the total number of #calories you eat in a day.” Why? Because oil has about 120 calories per tablespoon. So, if you don’t use it as a replacement, you could put on about 25 pounds in a year by following only the first part of the advice. Oh, and keep in mind that “light” olive oil does not have fewer calories — it just has a lighter color. Fit Tip: When using olive oil as a dressing, drizzle it on with a fork. For cooking, use olive oil misters, available at most cooking stores, such as Williams-Sonoma. The Good: You’ve probably seen food labels or TV commercials touting oatmeal as a food that lowers your cholesterol. That’s because oats contain soluble fiber. According to research, soluble fiber (beta-glucans) may help lower blood cholesterol levels and reduce the risk of heart disease when included in a #diet that is also low in saturated fat and cholesterol. 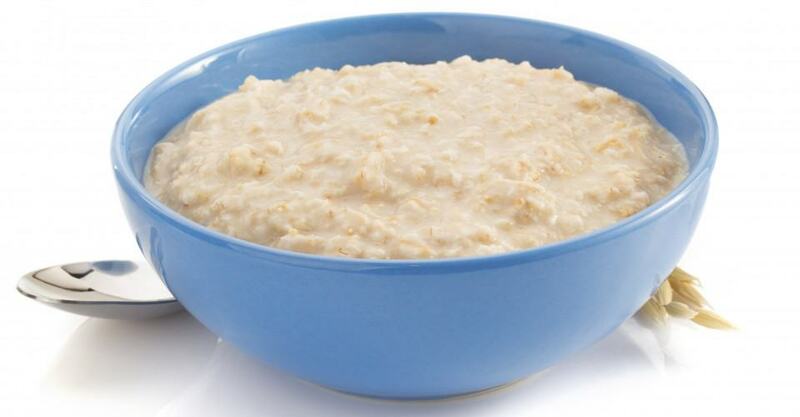 The 3 grams per day of oat beta-glucan needed to lower cholesterol can be obtained by eating 1 1/2 cups of cooked oatmeal (3/4 cup of uncooked oatmeal), or roughly three packets of instant oatmeal. Eating this amount typically lowers total cholesterol by up to 23 percent. Besides lowering your cholesterol, oats are just plain healthy, providing protein, iron, insoluble fiber and other nutrients — and they have only 145 calories per cup (cooked). In terms of weight control, studies show that an increase in either soluble or insoluble fiber intake helps you feel full longer, thereby decreasing your subsequent hunger. Finally, oats are naturally cholesterol-free and low in saturated fat and sodium. The Bad: The problems start when we add the extras — brown sugar, butter, salt, honey, whole milk and/or fruit (which is not bad in moderation). Too many add-ons bring up the total fat, cholesterol and calories beyond what would be considered a healthy breakfast. Fit Tip: Stick to a cup and a half of cooked oatmeal (218 calories) and throw in half a cup of frozen blueberries (35 calories), which are also high in antioxidants. Or toss in 3/4 of a cup of frozen mixed berries for 70 calories. Also, add your own cinnamon or nutmeg to plain oatmeal rather than buying the flavored versions, which come with added sugar. The Good: With about two-thirds the calories of potato chips and no saturated fat, soy crisps make a good snack. And they’re made from soy, which means they contain a complex mix of phytochemicals, including isoflavones, which can help fight or prevent heart disease, cancer and osteoporosis, as well as other diseases. Experts recommend integrating a total of 11 grams of soy protein (two 8-ounce glasses of soy milk or 1 ounce of soy nuts) from food sources — not supplements — into your diet each day. Glenny’s Onion and Garlic Soy Crisps have 9 grams of soy protein. The Bad: The calories still add up, so if you weren’t a chip eater to begin with, this isn’t the best way to start adding soy to your diet. But even if you are making the switch from potato chips to soy crisps, you might not come out ahead. For instance, Glenny’s Soy Crisps have 140 calories per 1.3-ounce bag, and since we always eat what’s in the bag, that would be only 10 to 20 calories less than potato chips. Plus, soy might not be good for everyone. For instance, adding soy is controversial for those postmenopausal women who happen to be at high risk for breast cancer, so be sure to check with your doctor before you start on soy. Fit Tip: Look for soy chips in packages with 110 calories or less for the entire bag. Choose them only to replace higher-calorie chips already in your diet. Or you can try opening the package, dividing the chips in two sealable bags — which will give you the recommended serving size and only 70 calories. The Good: Raisins are basically sun-dried grapes. They’re low in sodium and fat free. In addition, they provide many necessary vitamins and minerals, including iron, potassium and fiber, and they’re loaded with antioxidants. In fact, raisins rank among the antioxidant-richest fruits. For 100 grams (about 3 1/2 ounces), raisins have about 2,830 ORCA units (oxygen radical absorbance capacity, a measure of the antioxidant power of foods). 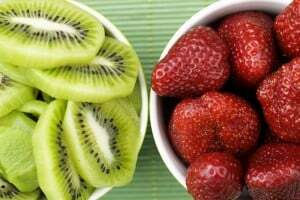 Antioxidants help neutralize the damaging effects of oxidation, thought to play a role in the aging process and the development of certain cancers as well as heart and lung diseases. Raisins can also be stored for a long time, and we don’t have to eat as many of them as other fruits to gain all their health benefits. The Bad: Because they’re dried, their nutrients are very concentrated, and so are their calories. There’s about one calorie in every raisin. At that rate, even a very small box can be costly at 45 calories. To get the same antioxidant benefit as 3 1/2 ounces of raisins, you would have to eat almost four times as many (13 1/2 ounces) red grapes (ORCA, 739 units), but you’d still be consuming roughly the same number of calories — about 320. In fact, ounce for ounce, all dried fruits are much higher in calories than their fresh equivalents, because of the water that’s lost and the concentration of sugar that occurs during the drying process. Having grapes will also leave you more satiated because of their high water content. Raisins have about 73 percent less water than grapes. Interestingly, raisins are made from green grapes, not red, and green grapes have fewer antioxidants. Their color results from the reaction between the proteins and the sugar that occurs as the grapes are dried. Fit Tip: Eating raisins is a real treat, so use them as a replacement for other sweet foods in your diet. For instance, if you typically sprinkle sugar on your cereal, try using 10 or 15 raisins instead. Or, if baking, try them in low-fat muffins and cookies instead of chocolate chips.